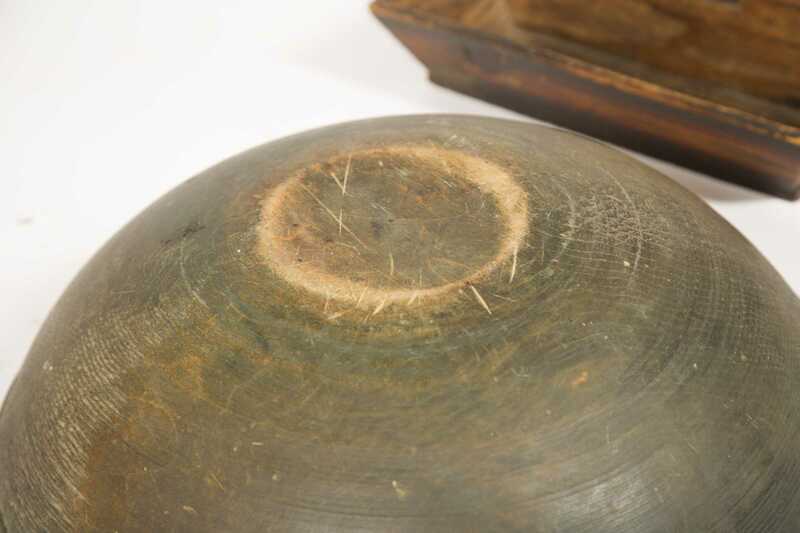 Three Paint Decorated Kitchen Woodenware, A) 16 1/2" diameter turned wooden bowl with old blue/ green outside paint, age cracks and some wear, 19thC. 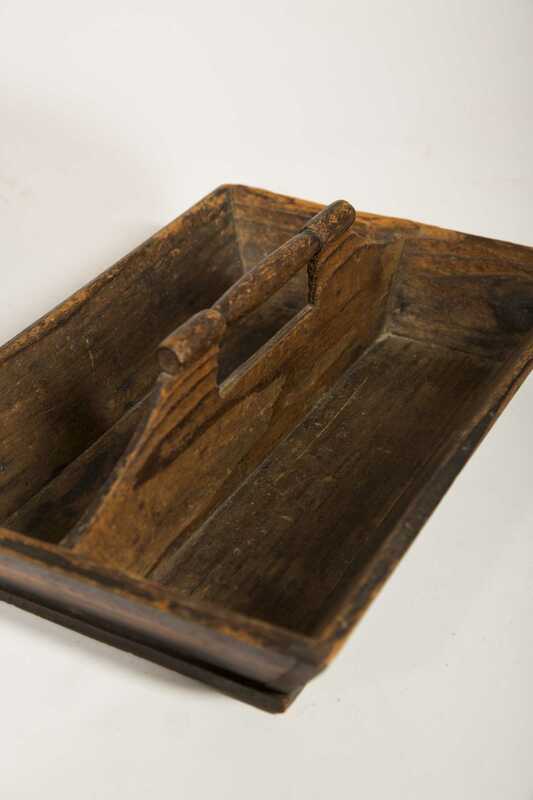 B) Wood grain painted cuttery box with turned handle, interior heavy wear, 12 1/2" x 8 1/2", 19thC. 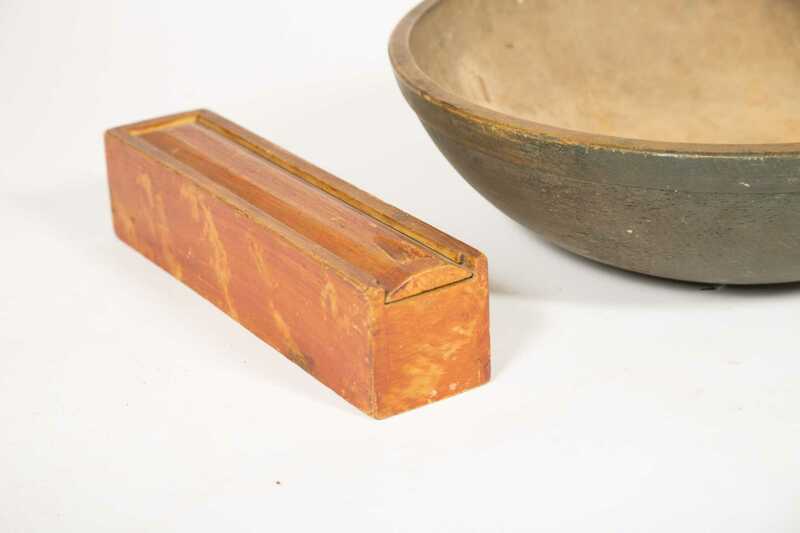 C) Orange paint decorated candle box with slide tip, 13" long x 3" wide, 19thC bright colored old paint.